Free Shipping Included! WiFi Router Wireless Range Extender AC750 Signal Booster Wireless-N Repeater High Speed Access Point Amplifier Network Adapter with 3 External Antennas Comply 802.11 ac/a/b/g/n(US Plug,WPS) by Aduds at AABX. MPN: US-750M-L01. Hurry! Limited time offer. Offer valid only while supplies last. 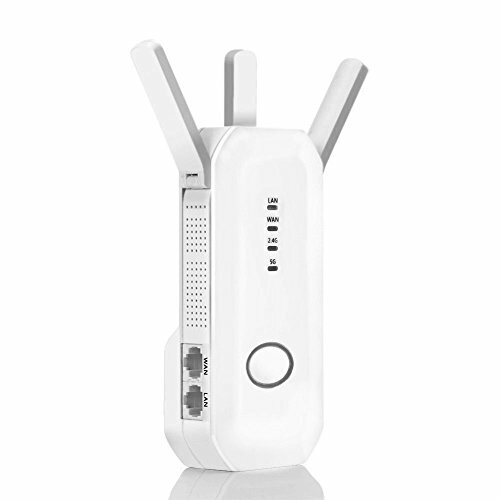 750Mbps WiFi Router/Repeater/AP -Wireless-N router works well as an ideal solution to access to Wi-Fi and enhance the signal for your study or work. -Wireless-N router works well as an ideal solution to access to Wi-Fi and enhance the signal for your study or work. -With high speed rate and long range network and dual band working modes that can meet all different needs. Extend WiFi range of your existing network,terminate WiFi dead zones.